Founded in 1984, Scott Kay has been acclaimed as a creative authority in Diamond engagement rings, bridal sets and wedding bands for men and women. 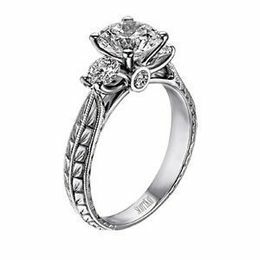 By creating a distinctive and artistically designed collection, he established Scott Kay as a coveted brand for bridal rings. Along with his design inspiration, Scott Kay unveiled platinum as the metal of choice for his bridal collection in the late 1980’s, further igniting the diamond engagement ring, bridal set and wedding band market. Credited for having spearheaded the resurgence of platinum in America, Scott Kay received several awards for his artisan designs and quality craftsmanship, including the prestigious Platinum Innovation Award from the Platinum Guild International two years in a row. Scott Kay’s success was due in part to an intense passion and focus in every endeavor. Today, Scott Kay’s legacy is carried out by a small team of best-in-class artisans who bring the same passion to their work that Scott kay has always brought to his handsome designs. To pay tribute to the standards in which Scott Kay set forth, “Never Compromise” is invoked at every stage of the engagement ring and wedding band design process. Thus, each and every diamond engagement ring and lustrous wedding band is an impeccable example of the finest quality and craftsmanship. Yours to be had for your momentous day. "Never Compromise." Scott Kay Award Winning, Quality Diamond Engagement Rings and Finely Crafted Wedding Bands for Men and Women. Scott Kay wedding ring designs are unique to everyone that wears one. Scott Kay elegantly crafts each ring with meaningful designs such as linked, etched, hammered, antiqued and finely detailed bands as wells as stunning diamond settings from filigree, diamond laden bands and regal crown settings to display your engagement diamond. Scott Kay Gorgeous Bridal Sets, Diamond Engagement Rings and Large Selection of Wedding Bands for Men and Women. Uncompromising Quality and Beauty in Each Ring Created. * Expert Craftsmanship Scott Kay Rings uses the highest quality materials to design meaningful wedding rings. * Heirloom Quality Scott Kay Rings are uniquely crafted with a focus on individual personality. * Sleek Styles Scott Kay wedding bands are expertly detailed in striking designs. * Sparkling Diamond Rings Crafted in gorgeous diamond settings for maximum sparkle and exceptional luxury. * Heirloom Quality Each Scott Kay ring is artisan crafted to be admired for generations. * Beautiful Selections Diamond Rings and Wedding Bands from Scott Kay are offered in a thoughtful variety to please every taste. Scott Kay, Artisan Designed Diamond Engagement Rings and Wedding Bands. Scott Kay exclusive designs in diamond engagement rings, countless styles of wedding bands, and stunning details that will impress and please. Browse the brilliance and sparkle of the Scott Kay Bridal Sets, Diamond Engagement Rings and gleaming wedding bands by Scott Kay for men and women. For the bride, view the lovely Scott Kay "Embrace" collection from the classic slender solitaire and smooth band to the diamond studded crown settings and matching wedding bands. Each collection boasts a special sentimental style and thought provoking design, just look at the "Heaven’s Gate" collection reminiscent of Angels and Architecture just beautiful! Surround your brilliant center diamond with a "Luminaire" setting of the finest diamonds wrapped around your center stone. Our expert jewelers will help you find the perfect Scott Kay Diamond Engagement Ring and wedding bands to compliment your forever promise and your budget. We provide service for our customers everywhere in the USA. Ask for quotes and recommendations, we offer financing to make this special purchase easy for you so you can enjoy life's special moments. 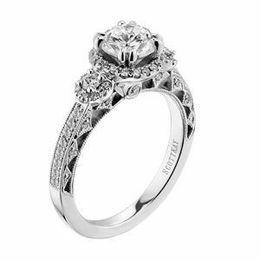 We Specialize in Assisting You as You Create Your Scott Kay Diamond Engagement Ring in a Style Uniquely Crafted for Your Bride. Enjoy Life's Special Moments at Kranich's Today! Kranich's Jewelers is proud to offer a huge selection of tantalizing Scott Kay Jewelry! Here you'll find our complete collection of Scott Kay Rings and other Bridal and Fashion Jewelry! Kranich's is Proud to Offer the Scott Kay Designer Wedding Ring Collections, browse through yourself and see why! Kranich's is incredibly proud of it's Scott Kay Bridal collection Sweep her off her feet, by choosing the perfect piece from the stunning Scott Kay Engagement Rings selection. These gorgeous designs, come in a range of cuts and settings. Such as the breathtaking Crown cut Scott Kay Engagement rings. This Bridal collection features a range of Vintage and Contemporary designs, in both the Scott Kay Wedding Bands and Diamond Engagement Ring Designs. Whether your after a traditional or modern-day symbol of your love and commitment you will find it here in Scott Kay Designer Wedding Rings! Looking for jaw-dropping designs? Then check out the Scott Kay Men's Wedding Band collection! Including the weave and linked designs, inspired by past craftsmanship from our ancestors and symbols of beauty and love, a truly romantic notion! View the quality Scott Kay Platinum. Scott Kay's revolutionary use of Platinum for Jewelry in the 1980's, has set a standard of excellence in wedding band design! For your Scott Kay designer diamond engagement ring, bridal set and wedding bands, Kranich's offers special financing to those who qualify. Scott Kay is a fabulous stop for men's fashion. Featuring Scott Kay Cufflinks, rings and much more! For the very best in handsome designs, check out the vintage inspired Sparta range. These great pieces are designed to evoke strength, masculinity and personal style. The vine pattern featured on these Scott Kay Rings symbolizes protection. The materials used are strong and sustainable, and can be passed down throughout the generations. With Scott Kay Jewelry you are not choosing the very best in ascetic design alone but also a piece that is riddled in meaning. So find a piece that best represents your personal attributes and style! Financing is Available, We Will Work with You to Get the Scott Kay Diamond Engagement Ring, Wedding Band or Any Other Special Purchase Jewelry Piece. * Get the Kranich's Card we can finance your wedding ring purchase for you. * Special Jewelry Purchase Loan for jewelry acquisitions, we can secure a bank loan for you. 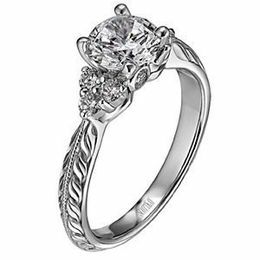 The Diamond Engagement Ring Selections We Offer Are Vast. The Options to Build a Diamond Ring are Endless, Like Your Love. If you are in the Altoona area, including State College and Johnstown, PA, come see our diamond engagement rings and wedding bands. WHEREVER YOU ARE LOCATED NATIONWIDE, WE WILL GIVE YOU THE BEST SERVICE AND EXPERT ADVISE. Live for the Moments. Visit Kranich’s today and slip that beautiful diamond ring on her finger! Chat or Call: 888-944-4575 if you want to speak to one of our helpful experts.